“Hong Kong boasts a smartphone penetration of more than 87 percent,” says Angus Choi, CEO of JETCO. The company operates 3000 ATMs in Hong Kong, Macau and Mainland China, is behind the AliPay Express Payment system and has its own NFC solution. A P2P transfer platform is planned for early 2016. Hong Kongers also have the e-wallet options offered by the mobile network operators – HKT has Tap & Go; 3 HK offers the Citi Wallet and SmarTone also has system. Then there are the startups. Is there room for more innovation? Choi argues that there is. “The market and consumers in the city are ready for different contactless and mobile payment and money transfer platforms,” he says. This year’s GSMA Report for the Asia Pacific Region makes for compelling reading. NFC services are a key component of Mobile Money and, says the report, “as of June 2015, there were 165 live NFC services across the world, of which 45 are in the Asia Pacific region”. The key adopters are Japan and Korea, but China is chasing. This news followed the announcement in October 2014 that Intel is investing $28 million in five Chinese companies, three of which are in the wearables sphere. This year, we have heard from Mastercard that it has teamed up with NXP and Qualcomm. It will “…develop technology that makes it simple to enable secure payments on virtually any device or accessory”, reported Enterprise Innovation, and has already showcased prototypes including a key fob developed with General Motors and a wristband made by Nymi. Closer to home, the Shua Shua band, priced at around 170 yuan, which offers both fitness tracking and payment options, is now being used in Shanghai. No date as yet but Apple confirmed in November that Apple Pay is coming to the SAR and Singapore in 2016. The service will be rolled out first to American Express card owners. Tom Wills is a director at Ontrack Advisory, which helps clients in the payments industry use data science. He argues that while Apple Pay’s arrival is a big deal, “because it’s leading payments into the next generation of efficiency and security”, he states: “I don’t think it’s going to have a huge impact in Hong Kong straight away.” He points to Android’s dominance in the Hong Kong market. 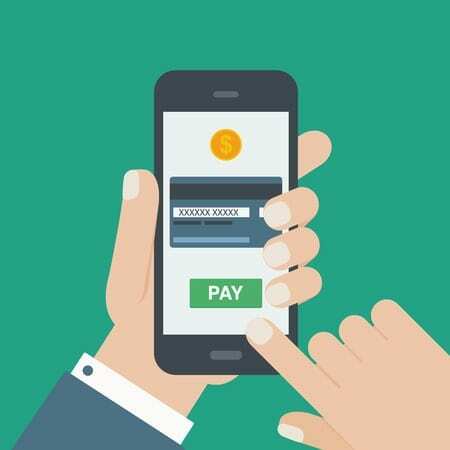 It will be when the Android e-wallet options – Samsung Pay, Google’s Android Pay and LG Pay – arrive, that numbers of users will swell, and that, he says, will happen very soon. 7. Is the Government on board? Katie Scott is the former News Editor of Wired.co.uk in London. Now living in Hong Kong, she has written about everything from 3D nature documentaries to nanosatellites to the ramifications of Edward Snowden’s brief visit to the SAR, but is driven to find stories on innovation and innovators of any kind.